Maybe you all need a recap of the previous episodes. My name is Simone Aliprandi and I am an Italian independent researcher working in the intellectual property field. On February 1, 2011 I announced on the web (via several mailing-lists and blog posts) the opening of a survey about some sociological issues related to copyright in the digital age. It was a pretty long online questionnaire that I realized as a part of my PhD research. Since that initial announcement I have always “solemnly” promised that all the results would be released with an “open approach”. Now my PhD has closed, my thesis has been defended (successfully), and the data has been adequately processed and commented; so it is the moment to publish them, using open content licenses, both on the web and in open access journals. Please consider that this research study (as it is) does not claim to be anything hard and incontrovertible. I did all the best I could did within a PhD program and with the limited resources concerning a PhD project, but I am aware that it has some methodological limitations. More than anything else, I wish you could appreciate this project as a “pilot research” with the main purpose to explore how copyright can be analyzed from a sociological point of view. I really hope that in the future I will have the opportunity to pose the survey again (or maybe a similar/new one), thus to collect much more information and make much more observations on it. That is why all your comments and suggestions will be very precious; you can leave them writing in the provided field under each article of the website or sending me a private message. The project is really “open”, and not only on the license side. This research study aims at providing a sociological impartial approach to an analysis of intellectual property issues that takes into direct account the viewpoints of "average citizens", as opposed only to those of stakeholders and experts. As a matter of fact, very few studies address such framework so far. In fact, most of them have been produced by major entertainment or software companies in order to monitor and anticipate market trends, thus considering common individuals as consumers and potential buyers, instead of users in more general terms. This strategy gives way to a distorted perception of collected data, or at least provides a very limited perspective on their outcome and analysis. the level of awareness of Internet users about mechanisms and principles currently governing copyright law, in order to expose their actual level of knowledge on related issues. 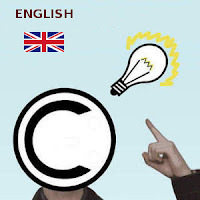 A web-presentation of the results of the survey is available at http://copyrightsurvey.blogspot.com/. There you can also find several articles related to the project and the complete report with more than 500 charts extracted from the dataset. Since all the material is provided for free under open content licenses, the intellectual acknowledgement of my authorship is the only compensation that I require. So help me in sharing correctly my work. Remember also to respect and correctly link the CC license applied to the work. This web-presentation is an offspurt of my PhD thesis “Copyright in the digital age. An empirical research about behaviours, social perceptions and level of awareness between internet users", defended on January 2012 within the PhD program in Information Society at Bicocca University of Milan.